I specialise in wedding makeup and love looking after my brides to create a makeup style that compliments their wedding day style. 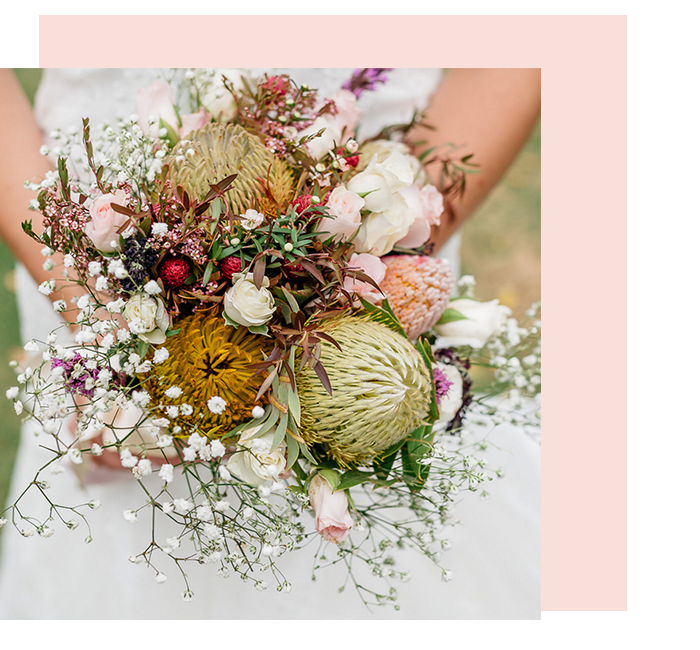 I provide a premium on location wedding makeup service to the Hunter Valley, Newcastle, Maitland and Port Stephens areas, ensuring your morning is fun, relaxed and stress free. I pride myself on my work and love keeping current with latest looks and products to ensure you feel radiant and confident. I highly recommend having a pre-wedding makeup trial. This is a great way to get to know each other and ensure that you are completely happy with your look before your big day. I have a boutique home studio space where I conduct my trials and I am available most weekdays by appointment, including some Saturdays with notice. You’re welcome to bring along pictures of desired looks. Please allow approximately 1-2 hours for your makeup trial consultation. Would you like to look and feel amazing at your next special event? I love creating fresh, modern and unique makeup styles for any special occasion. Whether it's your school formal, a day at the races. a photoshoot or a celebration of any kind ... I will ensure you feel your most beautiful and have you 'red carpet ready'! If you are looking for a mobile hair stylist. I work alongside my preferred talented mobile hairstylist to bring you a complete mobile makeup and hair service. It's an easy and great way to compliment your beautiful makeup. Just get in touch to arrange a time to chat about what services you require for your event. Welcome to Kylie Edwards Tanning, where every tanning session is tailored to meet your personal needs. Whether you wish to add that extra glow to your wedding day style, you're heading on a beach holiday or you just like to have natural looking sun kissed skin all year round, I can have you glowing in minutes. I offer a professional, private spray tanning service in my boutique home studio in the East Maitland, Hunter Valley. You can choose from violet or green based solutions to compliment your skin type. I'll offer you advice on how to pro long and take care of your tan, and I'm committed to ensuring you have an enjoyable, uplifting experience and walk out glowing with confidence.